This July workshop, we learned a lot about ourselves and our missions as artists and writers. We also had a lot of fun! Thank you Ariana Seigel for helping us rediscover our best selves! Want to know about our next workshop? Sign up for our mailing list below! Some people move to a new country and set up an entirely new life: They’re in love with the culture, the people, and the new locales. These people are true re-settlers—They start up businesses, get their papers, and open local bank accounts in a whole other country. But increasingly, there’s another kind of expat: the perpetual nomad. This is a person who works remotely and travels unrestricted. They may get paid online using services like PayPal or Venmo, and have several forms of side hustle, or use an all-online, international bank. Heather of Sea Bird Sailing Excursions is a re-settler: She discovered Costa Rica in 1999 and immediately knew she wanted to move here. Inspired in part by a Prince song (“Be glad that you are free. Free to change your mind. Free to go most anywhere, anytime“), Heather finally made the move in 2006 with just $13,000. “I had never been scuba diving before but have always been an ocean girl…surfing, body boarding, body surfing,” Heather remembers. “I figured I could buy some PADI courses and become a professional diver.” After discovering that she would be making $400/month working for another tour company (what her rent was at the time), Heather decided to work for herself and start her own sailing tour business. But the road to entrepreneurship was not without hiccups. 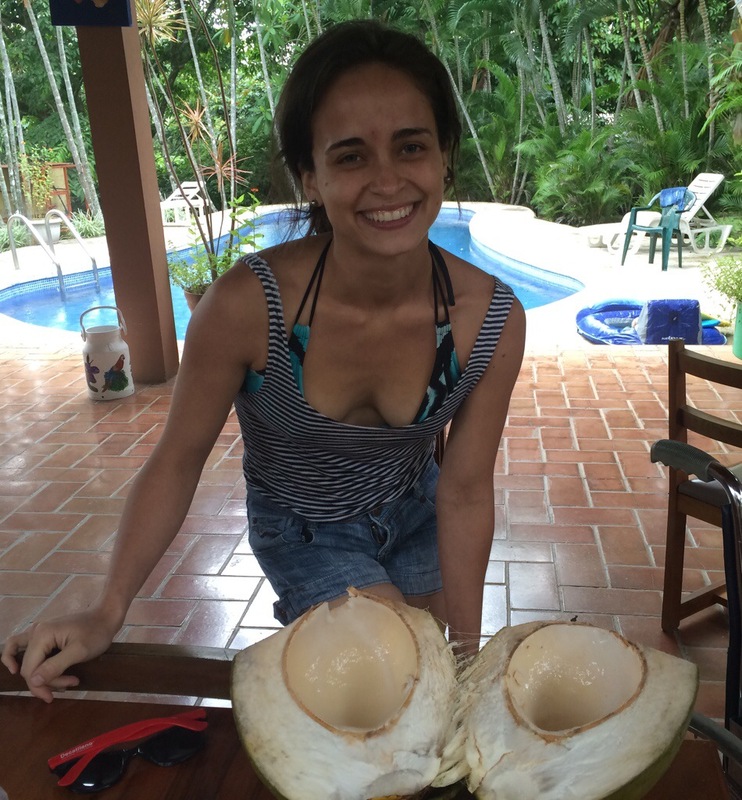 To help protect herself and her investment, Heather obtained her Costa Rican residency quickly. Many expats find themselves doing ‘border runs’—That is, crossing the border every three months to renew the ‘tourist’ status. Some pros to living in Costa Rica? What’s next? The business, which is highly rated on Trip Advisor, is now for sale! Could expat life in paradise be for you? Jennifer Dienst, who was born and raised in Florida, is the other kind of expat: the nomad. She is currently in Medellín and earns a living writing. Jennifer has been working freelance since 2012, but only went truly nomadic last year. How many countries has she been to? About 25! Jennifer, like Heather, recommends joining Facebook groups to find other expats. She also recommends finding a co-working space, because it’s easier to strike up a conversation than in a coffee house. You can follow Jennifer’s journeys on www. jendienst.com! She is also a former participant in Remote Year, a program where remote workers travel with one another to all kinds of amazing corners of the globe (with wifi, of course). What kind of expat are you? Would you want to re-settle, or endlessly roam, and where would you go? Speaker and writer David Nazario visited our “Success Through Self-Publishing” workshop in January where he spent practically every spare moment working on his book. What has he been doing since January? His book focuses on self-love over religion and, like Stephen’s book, is part workbook as well as instruction. He keeps in touch mainly through Instagram, where he regularly posts what he’s up to and information on his upcoming book, “Why Love is More Important than Religion,” which is set to come out in the summer of 2017. Interested in our upcoming workshop, which focuses on breaking writer’s block through finding mission over brand? Check our our July 2017 workshop! The code SUMMERINCR will take $100 off your week. We’re seeing a lot of division over politics lately, especially in social media, where it’s easy to make a quick, mean meme out of an unflattering photo. The “Likes” may rack up, but how can we encourage productive conversation? Stephen Cataldo, a guest from our January indie writer workshop, aimed to tackle this issue with his latest book. What has he been up to since January? “I’ve published and begun marketing Cognitive Politics: a Communications Workbook for Progressives!” He says. The book, which is part research, part workbook, helps advocates of compassionate and hopeful politics to listen and to be heard across that divide. Stephen took Robert Kroese‘s ‘Earning through Self-Publishing’ workshop in January. The experience changed his initial strategy to take advantage of Amazon’s promotional tools. What does he miss about Costa Rica? Interested in our next workshop? Check out details for our July workshop here. How do you communicate your political views with those who disagree with you? Who Would You Go to Costa Rica With? Are you a writer holed up for the winter? Are your past five Instagram photos of your computer and coffee? You need a break. For today only (11/23), I’m doing a ‘Bring a Friend‘ pre-Black Friday special for Week 1 and Week 3 of my writer workshops (Week 2 only has one spot left). Pay with PayPal (instead of Eventbrite) and save $80 each on writer workshops. ($1000 for a week for two people, instead of $1160 with Eventbrite fees). The week includes yoga and food. I will give belly dance classes upon request. Drinks and outings to the beach/zip line/monkey tours are extra, but will be coordinated by me. In Acting Exercises for the Creative Writer, we’ll explore how actors use physical exercises (including Laban, Lecoq, psychology gesture and improv) to explore character. Come ready to move, play and feel a little silly. At the end of the week we’ll have a short reading based workshop discoveries. Have you ever thought about self-publishing, but felt that you weren’t tech savvy? Robert Kroese will cover the ins and outs of self publishing, including the differences between self-publishing and traditional publishing, e-book formatting, distribution, and marketing your book. Who would you bring to Costa Rica for a writer workshop? Email lisaatnormas@gmail.com and let me know what you are writing, who you would bring, and what questions you have about Costa Rica! How does someone go from a cubicle dweller to a farmer in Latin America? I never expected to find out—But In October 2015, my husband Rick was introduced to Moringa oleifera by a friend who had just finished reading a book, Miracle Tree, by Dr. Monica Marcu. Within weeks, Rick was so inspired that he decided to use the undeveloped land at Norma’s to start growing Moringa at Norma’s Villas. It just so happens that Norma’s in La Garita, in Costa Rica, is ideal for this plant. Rick had never farmed before—In fact, he spent most of his adult life working office jobs in the United States. Since he started planting, he’s down about thirty pounds! In the weeks ahead, I will share more about how we started growing Moringa at Norma’s, Rick’s metamorphosis into a farmer, Moringa recipes, and the progress of the thousands of plants now sharing space with the mango trees. Rick and I have now been living in Costa Rica for seven months and we are adapting well. Aside from learning Spanish, one of the small challenges I have faced living in another country has been adapting my cooking to the local foods. I have also learned to make some of the local dishes (YUM! ), and have been creating new recipes as well. I have also started making fresh homemade bread a few times a week, which means I no longer have to find a way to ship my bread machine from Texas. It also means we have to step up our walking routine to work off those extra calories! Meet one that made me say exactly that: the Mexican Unicorn Mantis, Phyllovates chlorophaea. Rick found a small one (nymph) in the kitchen (so cute! ), then we saw one in a palm tree. I have always found praying mantises to be interesting, but this one is just so pretty! His tail actually looks like a part of a palm frond. We created a survey three months ago about what our visitors would want most in their trip to Costa Rica. Away, but not cut off — 92% said that Internet access was either a deal breaker or extremely important. Lone rangers — 77% indicated that group activities were nice but not necessary, or not necessary at all. Building Trust — 83% said that reviews from past guests were extremely important in deciding where to stay. Some amenities surveyors asked for were wifi, a comfortable bed, and air conditioning. As a direct result of our survey, we now have faster wifi and more routers to extend our Internet service to all villas and pools! Thank you to everyone who took our survey. We look forward to collecting more data and making changes based on what our visitors say. Didn’t get a chance the first time? Tell us what you want from your trip to Costa Rica and receive exclusive discounts! Norma’s is a getaway, a community, a home. Please help us make it better with our new survey! Click here to answer seven questions about your stay in paradise, and mention the survey when you email in to get 10% off your stay! So let us know — Do you need a getaway?